This Tombstone Tuesday I’m adding some pictures of tombstones of the Pearson and Ellwood families of Whitehaven, Cumberland. They relate to the Pearson and Ellwood families featured in the post immediately below this one. 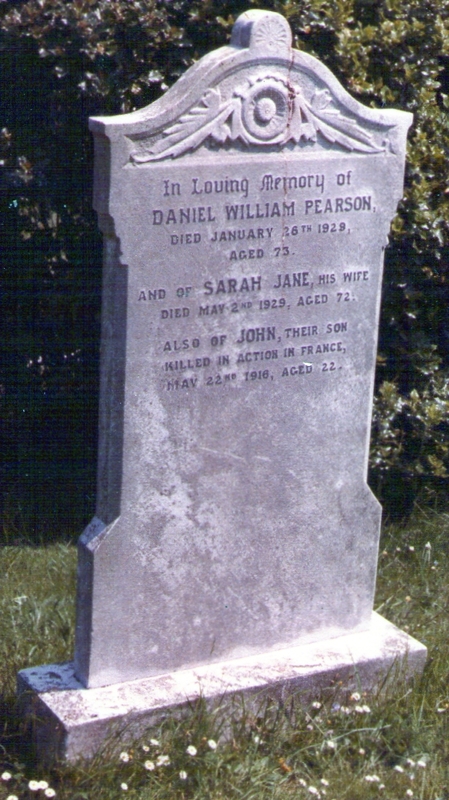 Daniel William Pearson (1855-1929) and his wife Sarah Jane Walker (1857-1959) are buried in Whitehaven Cemetery, Ward 1, Section O. They were Val’s maternal great-grandparents. Daniel William Pearson was the son of William Pearson, a butcher of Whitehaven, and his wife Sarah Johnson, who was born in King’s Lynn, Norfolk. Sarah Jane Walker was born in Sylecroft, Whicham, in the south of Cumberland, and was the daughter of William Walker, a spirit merchant of Sylecroft, and his wife Agnes Duke, who was born in Ulverston, Lancashire (which is now part of the new county of Cumbria. Daniel William Pearson started is career as a butcher, like his father, and then became Whitehaven’s Sanitary Inspector and Inspector of Nuisances (lovely title, that!) Two of ths brothers, Charles and Henry, were Anglican clergymen, while another brother, John Johnson Pearson, was an apothecary of sorts, and wrote books about his travels in the Middle East. 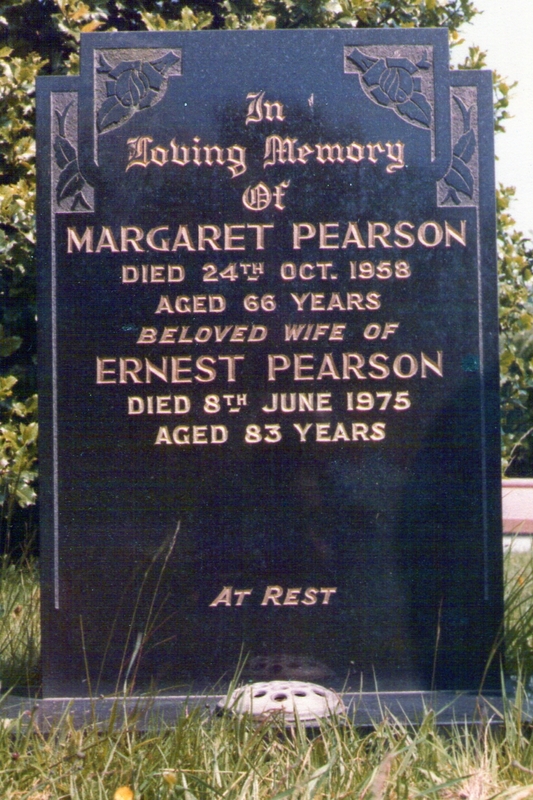 Our second tombstone is of Margaret Pearson, the daughter-in-law of Daniel William and Sarah Jane Pearson. Ernest Pearson (1892-1975) was a plumber and electrician of Whitehaven, and married Margaret Ellwood (1892-1958), the daughter of Thomas Ellwood and Mary Carr. They had three sons, Gilbert, Ralph and John, and a daughter, Edith Margaret Pearson.